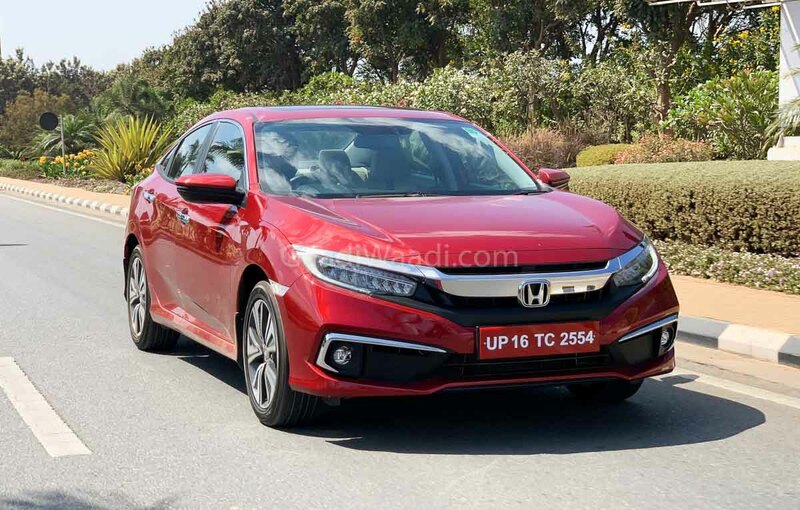 Honda Cars India introduced the tenth generation Civic in early March 2019 to strengthen its sedan portfolio. With Amaze being the best-seller for the brand, Honda found the need to back it up with another popular nameplate that hadn’t been there for more than six years despite the volume shrink in D-segment for sedans. The 2019 Civic arrived with plenty of anticipation and ever since its market debut at the 2018 Auto Expo, its launch was eagerly awaited. Honda pulled the plugs on the executive sedan back in 2012 due to the absence of diesel engine and on its comeback, it made sure all the boxes were checked. The Civic now offers a 1.6-litre Earth Dreams diesel unit found in the CR-V to produce 120 PS and 300 Nm, mated to a six-speed MT. With 26.8 kmpl claimed fuel economy, Civic is the most frugal in its segment. The Japanese manufacturer commenced bookings for the new Civic in the middle of February and within a short space of four weeks, it was revealed to have gathered more than 1,600 orders with majority accounting for the petrol top-spec variants. The Civic uses a 1.8-litre i-VTEC four-cylinder petrol engine developing 141 PS and 174 Nm and is connected to a CVT automatic transmission with sequential paddle shifters. With starting price of Rs. 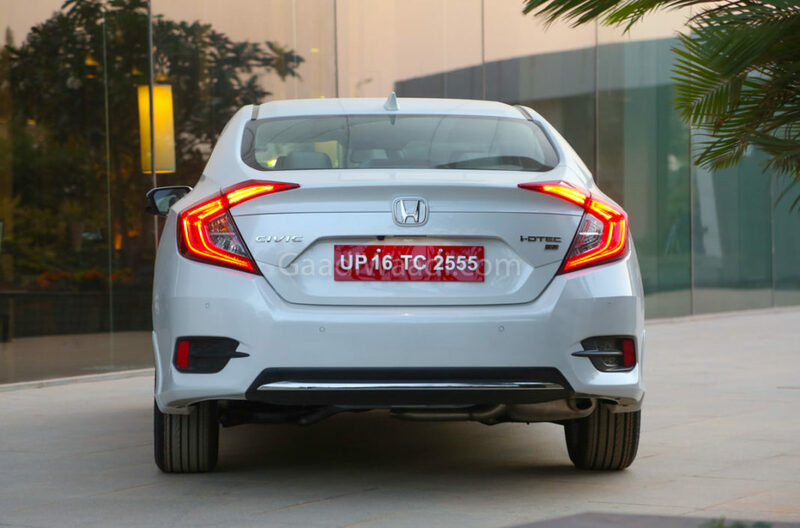 17.69 lakh (ex-showroom), it is more accessible than the rather steeply priced version diesel version that is not sold with an AT, unlike the Honda CR-V.
As expected, the New Civic blew away its rivals in its first month as a massive 2,291 units were retailed. It sort of revived the segment known for clocking around 600-800 units as a whole monthly in recent times. 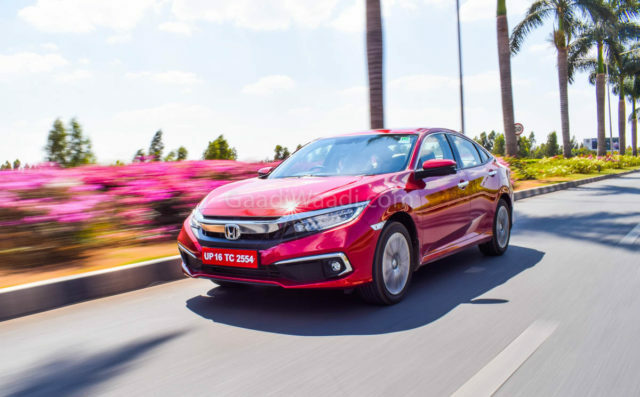 In March 2019, the Civic contributed to 80 per cent of the segment’s sales as Corolla Altis, Elantra and Octavia combined to register only 580 units. On a bigger picture, the new Honda Civic was the third most sold premium vehicle in India last month as it finished only behind Toyota’s Innova Crysta and Tata Harrier. It slotted in ahead of Mahindra XUV500, Toyota Fortuner and Jeep Compass. The Civic is expected to continue its sales momentum for the next few months.